To Remove Google Account from Android Phone you just need to follow some simple steps. It doesn’t matter which phone you’re using it can be Samsung, Vivo, OnePlus, Huawei, Oppo, Asus Xiaomi or any other, however, the process of Gmail account removal will be the same. But before going to that let see what is your Google account for? 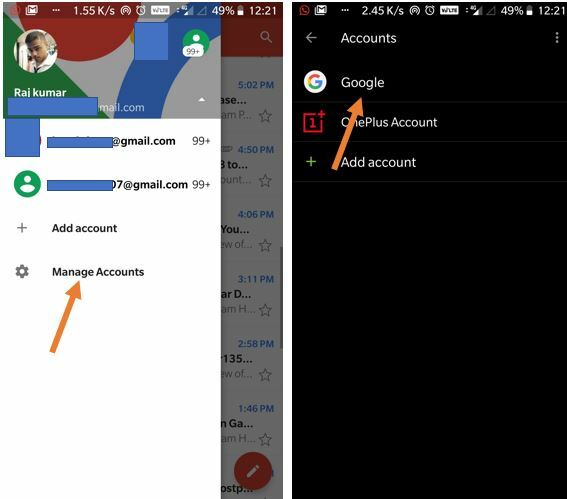 The Google Account on your Android smartphone allows you to sync your contacts, emails, apps and other data using your Gmail ID to different device login with the same ID. Also, the same email ID is used to syncing your browser history. 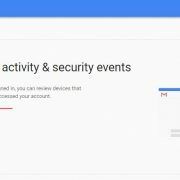 Removing Google account from an Android device will also remove your access from other Google services from that particular phone. 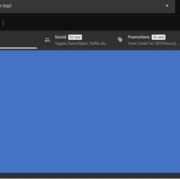 For example, you won’t able to run Youtube, Google Play store, Gmail, Google Music like services unless and until you add some new Google account. Google Account is basically your Gmail ID which allows you to use different Google services. Because different Android manufacturers use their own custom layer of interface and that’s why most of the time the location of options under the Setting section is not similar. 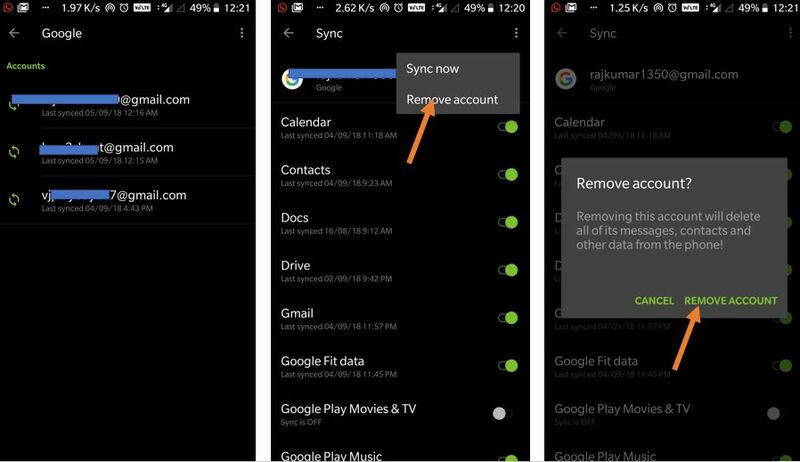 So, here is the common method remove google account from android without factory reset. Grab your Android smartphone and go to Gmail app which comes pre-installed on every Android smartphone. Tap on the burger icon given on the left side. You will see you email ID on the top just tap on that. Now there is an option called Manage Accounts, tap on that to select it. As soon as you tap on the Manage account you directly redirected to the Accounts section of your smartphone. Now click on the Google to manage all your Google Accounts associated with different Gmail IDs. Tap on the email ID that’s Google account you want to remove from your smartphone. Go to three dots given on the top right side of your Google Account and tap on that. Select the Remove Account option. You will get a confirmation message that”Removing this account will delete all of its messages, contacts and other data from the phone” Tap on the Remove Account option to confirm. If you have changed your mind and don’t want to remove the account then tap on the CANCEL. 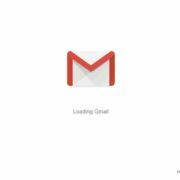 Step 1: Go to Gmail-> Tap on the left side top burger icon->Tap on your email ID-> Select the Manage Accounts-> Tap on Google. Step 2: Select the email ID you want to remove then tap on the top right side three vertical dots and then on the Remove account. 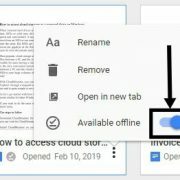 However, you can also add again your old or new Google account from Accounts section in case you want to reconnect it later if you change your mind. These are some quite useful information. As a beginner in Gmail, I was struck on removing google account for android. This information taught me a lot. Thanks a tone mate. Also, while searching for this information on google, I came across another wonderful site which provides in-depth knowledge with interactive information on how to remove google account from android devices. For people wanting to know can visit here.